Sweet. I'll be picking up an X-Compact grip module for my P320, which currently sports an X-Carry. The X-series grip modules are a massive improvement over the standard grip modules. I just hope they're compatible with the standard P320 Compact magazines, so you don't end up having to swap out baseplates on older mags, like with the other X-Series grips. How is it different than the X-Carry? Weighs a few ounces less. It looks like the rear sight isn't attached to the optics plate? My big complaint about my Xcarry is no rear sight to co witness with my Romeo. This solves that problem as well as making it more concealable. I'd be interested in the grip module for this pistol, to apply to my existing compact, as opposed to buying a new pistol. 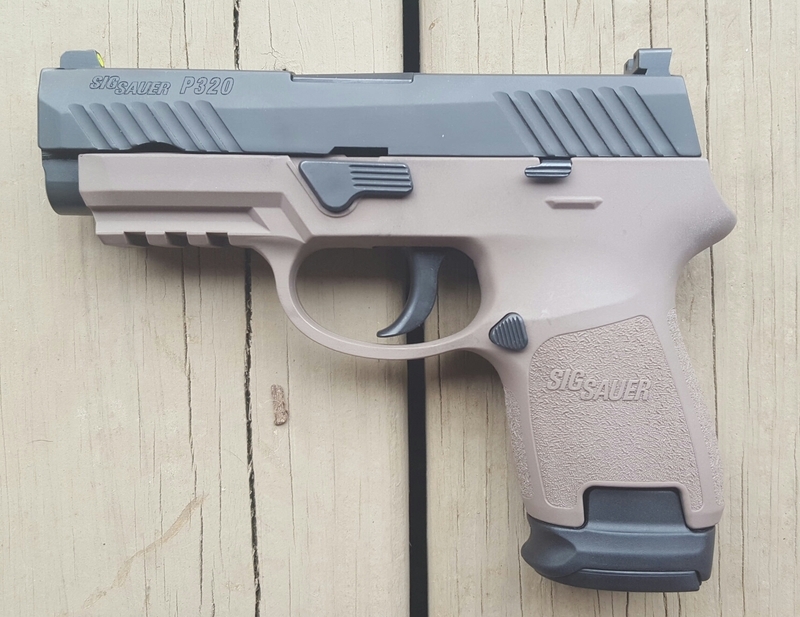 Right now the P320 compact is is in an x-carry grip, which I have on compacts and the full size; I'd like to try the x grip in a compact size (and maybe even subcompact, if they go that route). I'm confused.... I think this is what I bought back in September.... with the Romeo sights ....but maybe not the 'X' part... what exactly does that mean? I hope to look this over, thoughts of an M&P 2.0 Compact with the 3.6" barrel crossed my mind at the LGS Wednesday. Now there's a competitor. That might be the gun that gets me to finally buy a 320. They have a nice feature set there imo. I still think they’re making a mistake in not making their 15 round guns no more than 5” in height. I carry appendix, so the 1/4” isn’t a big deal for me, but for 3:00 folks, that makes a real difference. Good looking gun that will sell well. 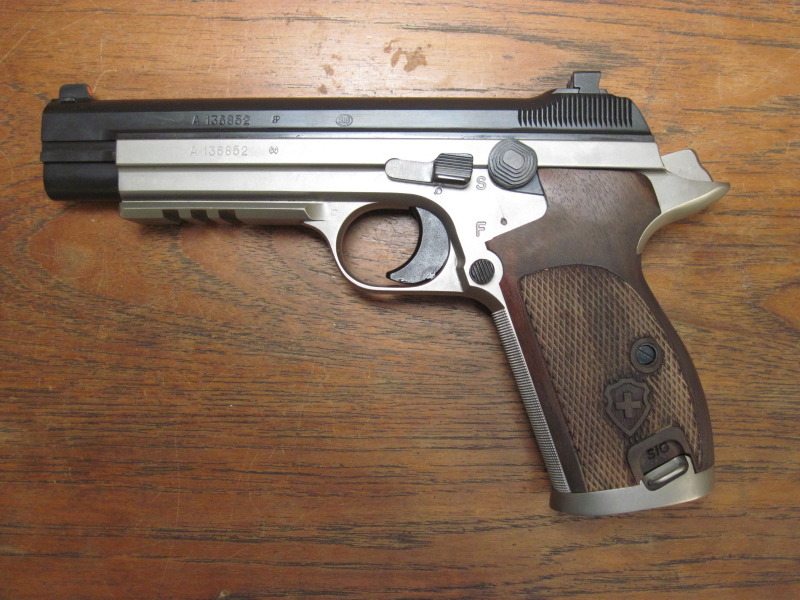 It looks like Sig had the S&W M&P 2.0 Compact with the 3.6" barrel in it's sights when it designed this one. Sig says it will be available in April in this video. Looks like I'll be picking up a grip module for my P320 RX Compact! Will this frame work with that slide? Looks like this gun has a 3.6” slide and the RX Compact has a 3.9 slide. I don’t know enough about the 320 to know. If it fits, will it result in a gap between the dust over and the frame? Yes it will fit and it will look just like that on your compact slide. Below is a Compact slide on a Subcompact-length grip module with a 15 round Compact magazine with adapter. Note that the Compact slide overhangs the front of the grip module by 0.3". I believe a Compact slide on an X-Compact grip module will look similar, and have the same slight overhang. The X-Compact is basically a Compact-length grip and magazine, with a Subcompact-length slide and front dust cover.